Last month, I posted an article that summarized a variety of undocumented customizations to Matlab figure windows. As I noted in that post, Matlab figures have used Java JFrames as their underlying technology since R14 (over a decade ago), but this is expected to change a few years from now with the advent of web-based uifigures. uifigures first became available in late 2014 with the new App Designer preview (the much-awaited GUIDE replacement), and were officially released in R2016a. 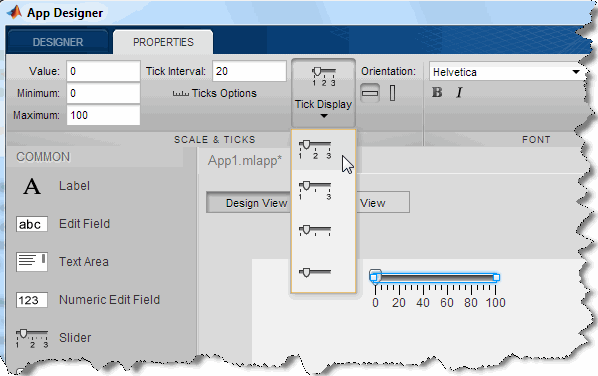 AppDesigner is actively being developed and we should expect to see exciting new features in upcoming Matlab releases. However, while AppDesigner has become officially supported, the underlying technology used for the new uifigures remained undocumented. This is not surprising: MathWorks did a good job of retaining backward compatibility with the existing figure handle, and so a new uifigure returns a handle that programmatically appears similar to figure handles, reducing the migration cost when MathWorks decides (presumably around 2018-2020) that web-based (rather than Java-based) figures should become the default figure type. By keeping the underlying figure technology undocumented and retaining the documented top-level behavior (properties and methods of the figure handle), Matlab users who only use the documented interface should expect a relatively smooth transition at that time. So does this mean that users who start using AppDesigner today (and especially in a few years when web figures become the default) can no longer enjoy the benefits of figure-based customization offered to the existing Java-based figure users (which I listed in last month’s post)? Absolutely not! All we need is to get a hook into the uifigure‘s underlying object and then we can start having fun. One way to do this is to use the uifigure handle’s hidden (private) Controller property (a matlab.ui.internal.controller.FigureController MCOS object whose source-code appears in %matlabroot%/toolbox/matlab/uitools/uicomponents/components/+matlab/+ui/+internal/+controller/). avoided. Use DISP or DISPLAY to see the visible public details of an object. See 'help struct' for more information. the JavaFrame resource on the MathWorks web site. Anyway, the important thing to note for my purposes today is that when a new uifigure is created, the above-mentioned Controller object is created, which in turn creates a new matlab.internal.webwindow. The webwindow class (%matlabroot%/toolbox/matlab/cefclient/+matlab/+internal/webwindow.m) is well-documented and easy to follow (although the non camel-cased class name escaped someone’s attention), and allows access to several important figure-level customizations. In summary, while the possible customizations to Java-based figure windows are more extensive, the webwindow methods appear to cover most of the important ones. Since these functionalities (maximize/minimize, AOT, disable etc.) are now common to both the Java and web-based figures, I really hope that MathWorks will create fully-documented figure properties/methods for them. Now that there is no longer any question whether these features will be supported by the future technology, and since there is no question as to their usefulness, there is really no reason not to officially support them in both figure types. If you feel the same as I do, please let MathWorks know about this – if enough people request this, MathWorks will be more likely to add these features to one of the upcoming Matlab releases. 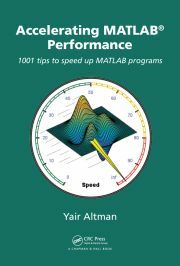 Warning: the internal implementation is subject to change across releases, so be careful to make your code cross-release compatible whenever you rely on one of Matlab’s internal objects. Note that I labeled this post as “part 1” – I expect to post additional articles on uifigure customizations in upcoming years. Anyway, thumbs up for your blog! @Ben – at the moment, using programmatic GUI creation that relies on the old Java frame enables far greater customizability and functionality than the new web-based uifigures created by AppDesigner (AD). AD does offer an easy-to-use GUI layout editor and a few nice-looking widgets (knobs, dials and switches), but it also [currently] lacks many important functionalities compared to the old figures and controls. Moreover, if you know how to programmatically create and modify Matlab GUIs then you don’t need AD’s widgets, and if you know how to integrate Java widgets in Matlab GUIs then you could use one of the zillion widgets available online. So in essence, AppDesigner is excellent for simple GUI development, but not [currently] for highly-polished professional-looking GUIs. That being said, AppDesigner is constantly being improved with each Matlab release. I’m almost certain that menus and toolbars will be added to uifigures soon. At some point in the near future I expect AD to be at least as powerful and useful as programmatic JFrame-based GUIs. There would always be some stuff that we would never be able to do with uifigures, but the time will soon come when AD and uifigure‘s benefits will outweigh those limitations. My guesstimate is that we’re ~1 year away from that point for simple GUIs, and ~2 years away for most advanced GUIs. by installing the 1 sec pause, I was able to get the controller array loaded. Otherwise it is empty. Still poking around with it however it did work. just set MyICO to your ‘Filename.ico’ file. Note: must use correct file format. Java would let you use a png but this is an easy conversion. Hi everyone, I’m having trouble creating a mlapp that has a popup that is a mlapp also. So in other others I have 2 appdesigner apps… “main” and “popup”. so I cant continue using the main app until I close the popup one.